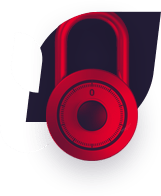 “The Canadian Collegiate Cyber Exercise (C3X) is designed to develop, broaden and enhance the skills base of the next generation of Cyber Security and ICT professionals. The concept in brief: The students were tasked with defending a ‘simulated’ corporate network from intrusion and exploitation by a red team comprised of cyber security pros with a sophisticated skillset. The students needed to learn to be organized, develop a strategy to combat the intrusion, and communicate with each other and the management team. 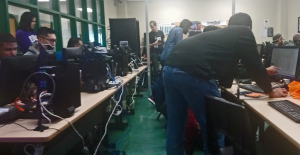 This year’s event took place at George Brown College between October 22nd and the 24th. There were red teams, blue teams, and white teams playing offensive and defensive roles. I helped out the white team. Honestly, I spent a lot of time waiting around and watching the white team and blue team do their work. But when a few blue team members needed to find useful information in their Active Directory logs coinciding with a cyberattack, I came to their aid. How do you weed out the true positives from the false ones? I got the students to narrow down a possible time range for the attack incident. I told them that if they had log analysis tools and a SIEM, they wouldn’t have to sort through their logs manually. It’s tedious work but the students put a lot of effort into being careful and thorough. I asked RedBlack’s Ben Wells why they had launched C3X. “There were a variety of reasons we started C3X. Events like CDX and CCDC in the United States were not matched by similar events north of the border. There didn’t seem to be a lot of excitement or cache to cyber here. The market here is dominated by a few large players who’ve eroded the value of pen testing and security in general by commoditizing it. I also asked RedBlack’s Lee Kagan about the inspiration behind C3X. 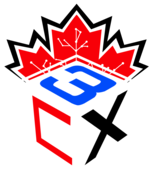 “C3X came originally to me as an idea to start something in Toronto (and eventually for Canada) that would have a similar feel to CCDC and CDX in the US. There’s CTFs (capture the flag competitions) all over the place and while they’re great for what they can teach, there isn’t really anything for us and specifically students that simulates an aggressor targeting an organization that they may have to defend. Plus, we needed to design it into a pressure cooker form with time constraints, limited time and so on. Lee also elaborated on the birth of C3X. 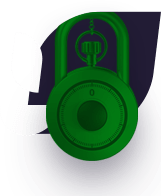 “In the early days of RedBlack we had some very small events and workshops we held for ‘non-techie, non-security’ folks where they could come ask us questions about hacking and cybersecurity. This was more of a community project to help raise education and inform families about staying safe. Ben Wells, from our company, also has a lot of experience in event planning from other times in his career. Combined with running a business, being people who attend lots of events and having so many friends who have experience with event organization made it a far easier task than it would have been without all of that. Student Laura Harris worked on the blue team. Her involvement began with an invitation to a war room. Laura’s entry into cybersecurity was almost accidental. What has Laura learned about cybersecurity so far? I’m excited about C3X in 2019! I will probably get involved again in some capacity. It’s really exciting to observe the developing skills of our next generation of cybersecurity professionals.